Saprophytes invited by Family Business to participate in Les Grands Transparents. 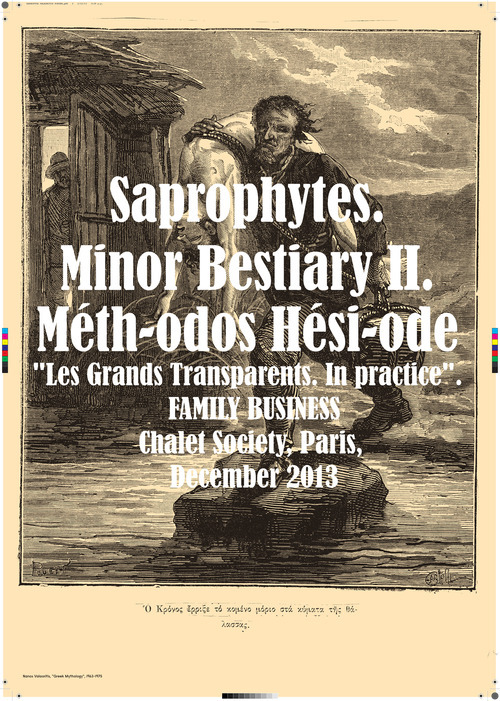 In Practice , Vol.I - December 2013, presented in collaboration with The Chalet Society, organized an intertextual supplement to Hesiod’s Theogony, titled : Minor Bestiary II. 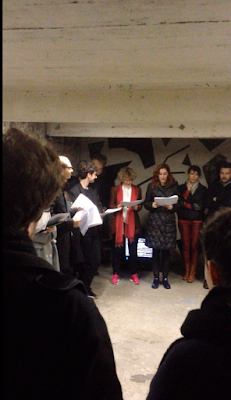 Méth-odos Hési-ode, Chalet Society, Paris 2013. 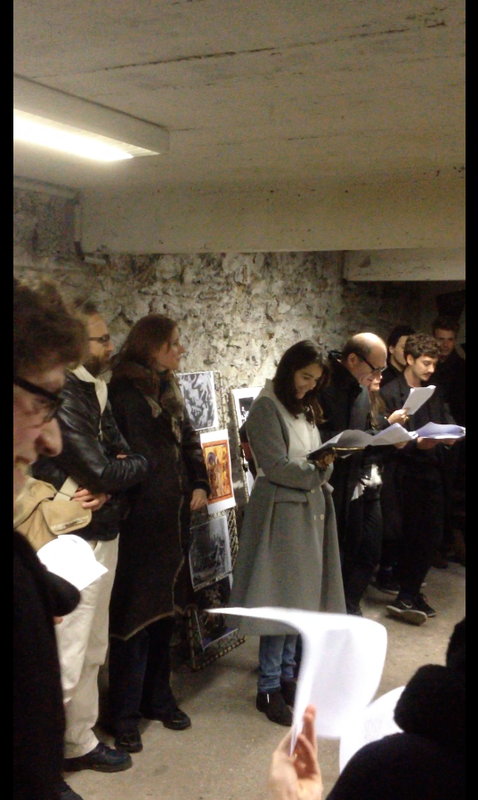 The Saprophytes created a multimedia installation in the crypt situated at the alley of the Chalet Society, including the book- in- film- format work Minor Bestiary. 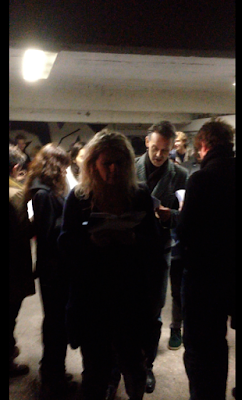 Thesaurus Alienus Novissimus and a public reading of Theogony. 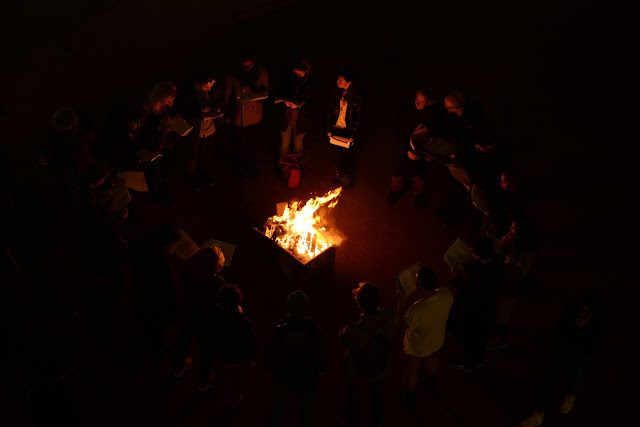 With the aim to go back to the roots, the genesis of the monstrous and the bestial, as it is paradoxically described in the genealogy of the most humanistic of all world philosophies, and explore its relation to the contemporary and the political, this open reading de-monstrates the collective potential.